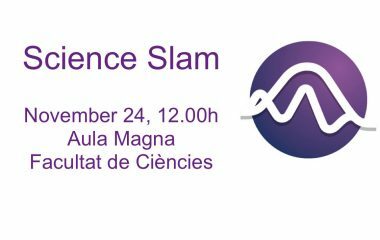 Anna Company (Cornellà del Terri, 1982) studied Chemistry at the University of Girona (2000 – 2004) and she carried out her PhD studies in the Department of Chemistry at the same university under the supervision of Dr. Miquel Costas. During her doctoral studies, she performed two research-stays at the University of Minnesota (US) under the supervision of Prof. Que and in the laboratories of Prof. Wieghardt at the Max Planck Institut für Bioanorganische Chemie (Germany). 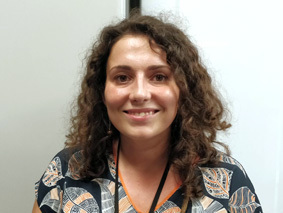 In April 2009 Anna joined the group of Prof. Driess at the Technische Universität Berlin (Germany) as a postdoctoral researcher within the Marie Curie Intra-European Fellowship program. 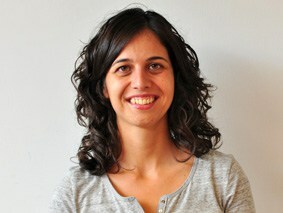 In April 2011 she returned to the University of Girona and since January 2012 she is appointed as a “Ramón y Cajal” fellow. In January 2013 she started her independent research line thanks to the funding from a Career Integration Grant from the EU. 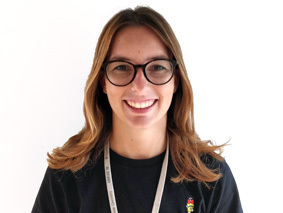 Anna currently leads a research team at IQCC working on the activation of small molecules and the characterization of high-valent species relevant in biology and catalysis. 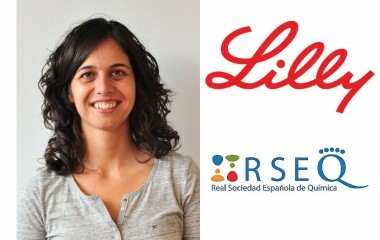 She has co-autohred over 35 scientific publications and she was awarded with the 2010 Dalton Young Researchers Award from the RSC and the Clara Immerwahr Award 2015 granted by the german Cluster of Excellence UniCat. Oxidation reactions are one of the most important chemical transformations applied in industry. In the field of bulk chemistry, the use of fossil hydrocarbons usually requires their initial functionalization via oxidation to allow their posterior transformation into value-added oxygen-containing chemicals. In synthetic chemistry, state-of-the-art research is aiming at developing highly selective oxidative transformations which, if successful, would provide tremendous advances to design novel and shorter strategies for the synthesis of complex organic molecules. In biological systems such selective oxidation reactions are performed by metalloenzymes. These enzymes possess metal centers in the active site, which are capable to activate the oxidant (usually molecular oxygen, O2) and generate high-valent metal-oxo species that perform the oxidation. Thus, unraveling the mechanisms operating in biological systems will help to understand the origin of this selectivity, a knowledge that could be transferred to the design of synthetic catalysts with improved selectivity towards oxidation. 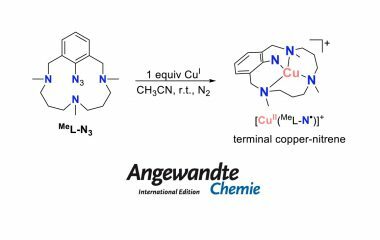 In this project we aim at the use of O2 or its activated forms as oxidants in organic reactions under mild reaction conditions with first-row transition metal complexes as catalysts. We are interested not only in finding efficient catalytic systems but also in understanding the mechanisms behind these transformations. For this reason, we pay special attention to the detection and characterization of the active species by means of several spectroscopic techniques including UV-vis, CSI-MS, NMR,… Following this methodology, we have been able to detect highly oxidizing iron-oxygen and nickel-oxygen species. Nitrous oxide (N2O) is a minor component of the earth atmosphere but it has been identified as a major environmental concern because it is ~300 times more potent as a greenhouse gas than CO2 and it is involved in the depletion of stratospheric ozone. Thus, there is an increasing interest in the use of N2O as oxidant as it only generates unproblematic N2 as waste. However, N2O is a recalcitrant molecule because, despite being thermodynamically a potent oxidant, it is kinetically very stable. 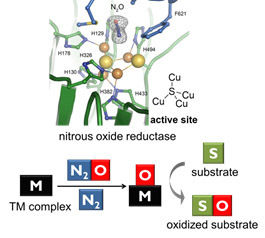 Taking inspiration from metalloenzymes (nitrous oxide reductase), reaction with transition metals (TM) has been identified as a good strategy to overcome these kinetic barriers, albeit progress in this field has been rather limited. In this project we aim to achieve the activation of nitrous oxide with first-row TM complexes bearing electron-rich metal centers willing to reductively activate N2O. Understanding the mechanisms of N2O activation and finding new applications for the use of N2O as oxidant are the main aims of the present project.